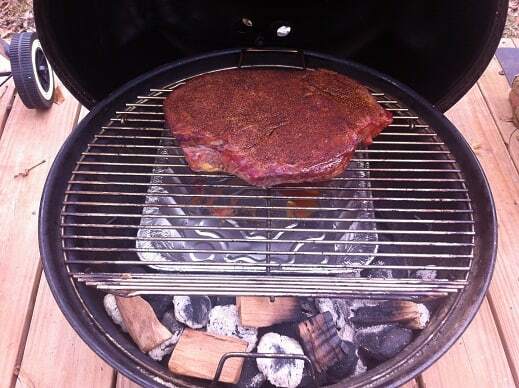 Here is another “low and slow” with the Weber Jumbo Joe. 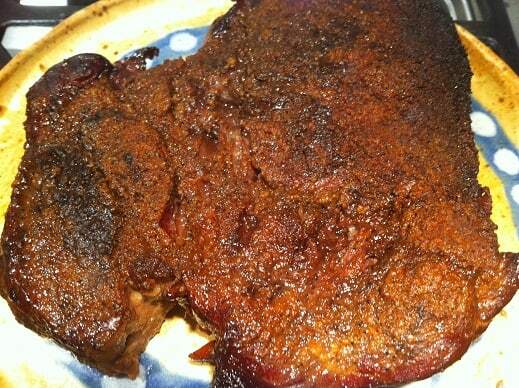 This time around I went with a classic; smoked pot roast. 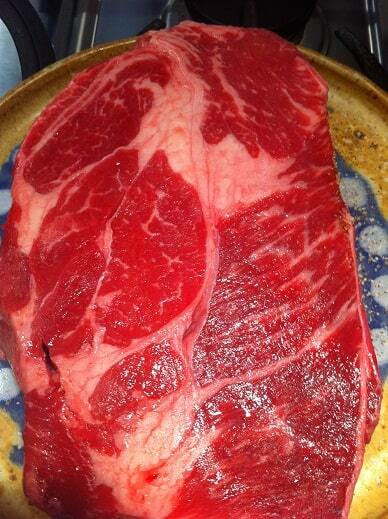 I picked up a three pound chuck roast that had some great marbling. 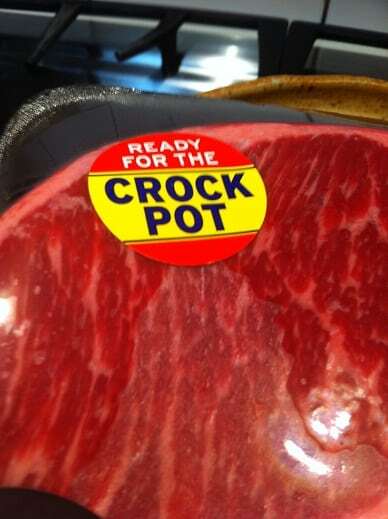 The wrapping on the meat made the helpful suggestion that I should throw this guy in a crock pot. 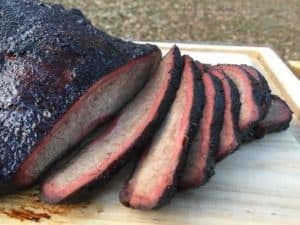 I decided to ignore the helpful advice and fired up the Weber Jumbo Joe instead. 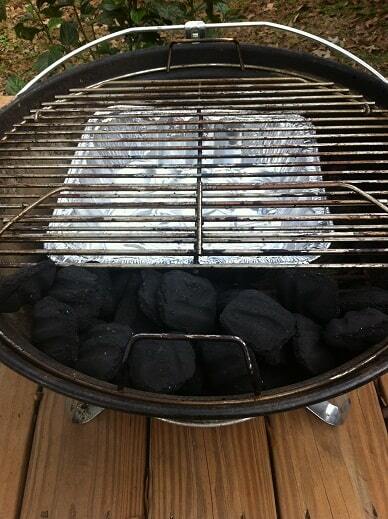 I placed a drip pan on the far side of the charcoal grate and banked a pile of Kingsford on the near side. I placed ten briquettes in a chimney and got them lit. 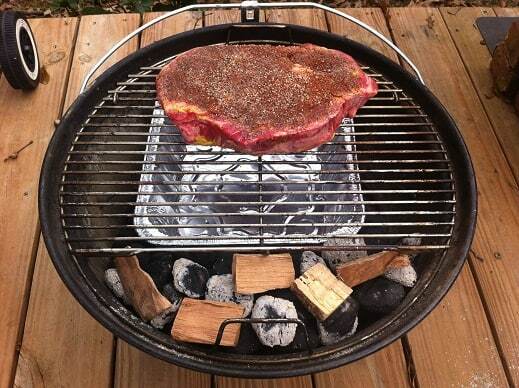 I placed the ten lit briquettes on top of the banked coals along with a few pieces of hickory. 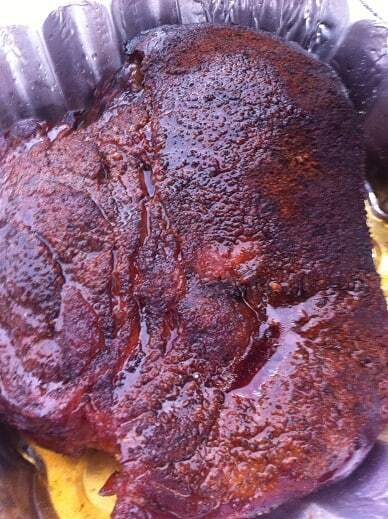 The roast was placed over the drip pan then I closed the lid and adjusted the top and bottom vent to 50% open. 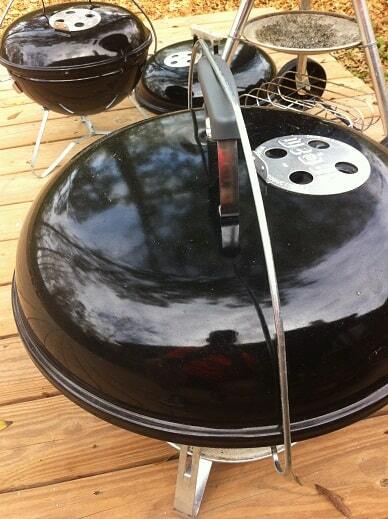 I rotated the lid so the top vent was located over the meat. I also flipped the lid lock onto the handle; really didn’t need to do this but I wanted to make sure the grill was closed tight. The roast was looking pretty incredible and the fuel was still plentiful. I closed things back up and spent the next hour watching reruns of MythBusters on Netflix. It turns out that it is impossible for a swarm of bees to fly off with a laptop computer. 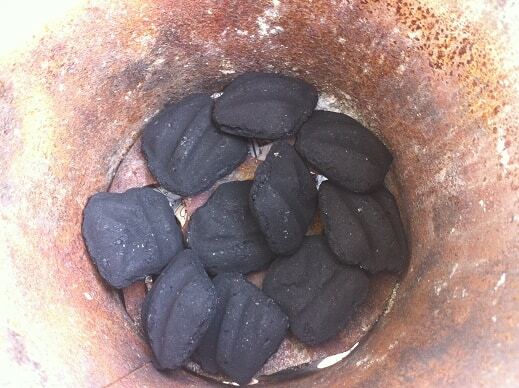 At the three hour mark I added ten unlit briquettes to the Jumbo and stirred the coals a little to knock off the ash. I also moved some lit coals around to help even out the burn. Of course the main reason I was doing this was so I could peek at the roast and take another picture. It was just starting to sweat and give up some of its juices. 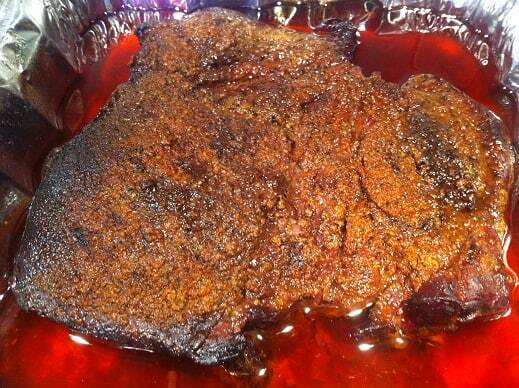 At the four hour mark (3:00 p.m.) I placed the roast in a foil pan with about a quarter cup of beef broth. I put a tight lid on the pan with some heavy duty aluminum foil and put it back on the Jumbo. At this point my wife informed me that we were all headed over to her parent’s house to decorate their Christmas tree. We got back to our homestead at 6:00 p.m. 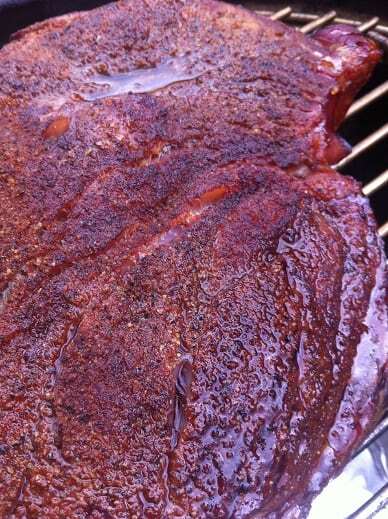 The roast had been slow cooking for seven hours now; four in the smoke and three in the foil. 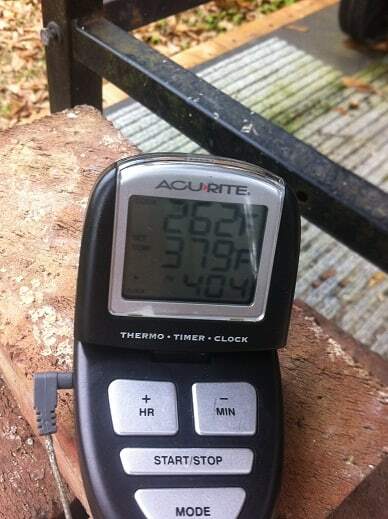 A quick check of the dome temperature (273F) showed the Jumbo had hung in there just fine. I took the foil off the top and was greeted by beefy glory. For the record, you can take the pan juices and make some of the best beef gravy in the history of the world. I skipped on making gravy. I was short on time and I did not need the temptation to eat the whole thing in one sitting. The roast sliced with little resistance and melted in my mouth. It was fantastic. My only regret was that I couldn’t figure out how to take a picture of this stuff that looked as incredible as it tasted. 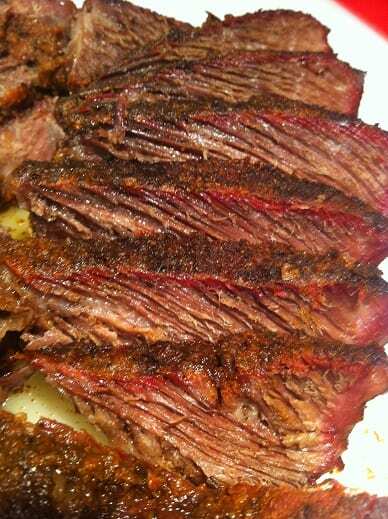 If you haven’t slow smoked a chuck roast you have to put it on your “to do” list. This isn’t as pretty as a smoked brisket but I think it tastes many times better. If you decide the Jumbo Joe would be a good addition to your backyard you can pick one up here at Amazon. I highly recommend eventually getting the hinged grate as well. 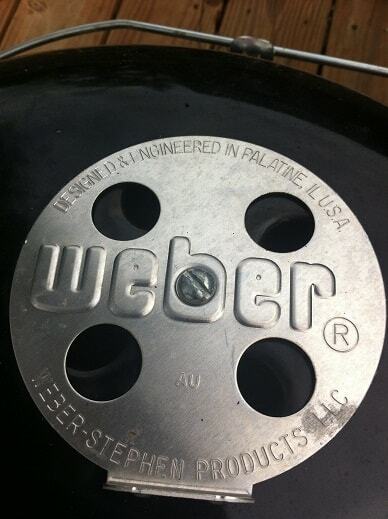 It comes in handy on long cooks. I would love to get some more ideas to try. 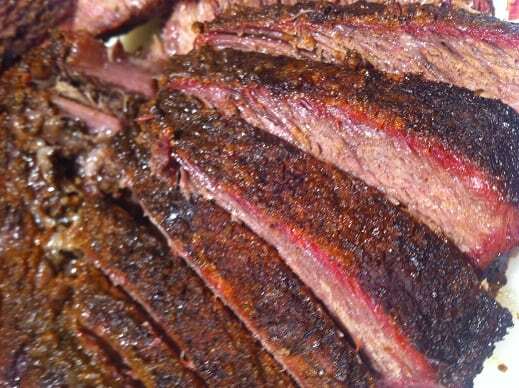 What is your favorite cut of beef to barbecue? Any ideas or tricks I should try? Go ahead and leave a comment; I would love to hear from you!